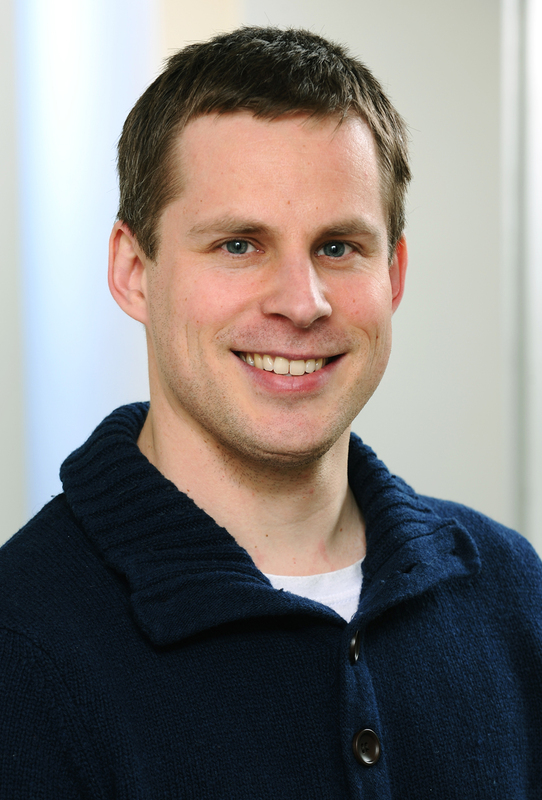 Junior Professor Denis Scholz of the Institute of Geosciences at Johannes Gutenberg University Mainz (JGU) has been appointed to a Heisenberg Professorship by the German Research Foundation (DFG). The expert in speleothem research will thus hold a chair that will be funded for the next five years by the DFG and will subsequently be a permanently established professorship at Mainz University. Scholz has been in charge of the JGU Speleothem Research Group since 2009. The group's main objective is to reconstruct past climate variability. 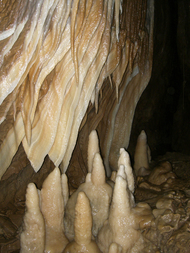 Speleothems are secondary mineral deposits in caves that serve as climate archives and mostly occur as dripstones in the form of stalagmites and stalactites. As part of his Heisenberg Professorship, Scholz will continue to pursue and develop this research as well as extend it to longer-term objectives. "The acknowledged quality of the research undertaken by Junior Professor Denis Scholz impressively demonstrates the potential of the research environment at Johannes Gutenberg University Mainz. This promotion confirms that he is an outstanding young academic demonstrating his excellence both in his work and in his professional career in the demanding review process. At the same time, he is also making significant contributions to the research focus of the Institute of Geosciences," emphasized Vera Reiß, Minister of Education, Science, Continuing Education, and Culture of the state of Rhineland-Palatinate. Speleothems are particularly well-suited archives of past climate variability for various reasons. They exist in almost all regions of the world, it is possible to date the events they record within the last 500,000 years with extraordinary accuracy, and they provide a variety of climate proxies, which can be measured at annual to centennial resolution. "We also work with other climate archives, such as corals," explained Scholz, "but speleothems have the advantage that we can use them to actually pinpoint the date of climate events that occurred in the past 500,000 years. There is no other climate archive that can be dated with this precision in this period and which occurs all over the globe." Although the Speleothem Research Group works worldwide, most of its work is undertaken in Germany. The main material examined by the geoscientists are stalagmites, which grow from the floor of a cave upwards. An important technique used to determine the climatic fluctuations of the past is the precise measurement of the age of the material by means of uranium-thorium dating. The climate – whether it was wet or dry, hot or cold, for instance – can be reconstructed primarily on the basis of the relative ratios of stable oxygen and carbon isotopes. Trace element analysis also provides a helpful tool. The research group also studies the fundamental processes that underlie the formation of climate archives as well as the development of new techniques to improve the obtained climate reconstructions. The team led by Junior Professor Denis Scholz is the only research group in Germany which covers all aspects of speleothem research. For this purpose, it also collaborates closely with the Max Planck Institute for Chemistry in Mainz. The award of the Heisenberg Professorship and the consequent establishment of the research group on a permanent basis mean that Johannes Gutenberg University Mainz now represents a prominent position in the field of terrestrial paleoclimatology within the German research landscape. In addition to speleothems, mussels, lake sediments, and tree rings are already being studied in Mainz as archives that can help to reconstruct the climate of the past.